After a spirited bidding war on Tuesday afternoon, the buyer and I were in touch shortly after to exchange info and complete the transaction. On Thursday morning, the wire transfer was received and an Intercity truck showed up to collect the car. The Touring will be headed back to the East Coast where it had lived for the first 40 years. Congratulations fiminod and thank you BaT! 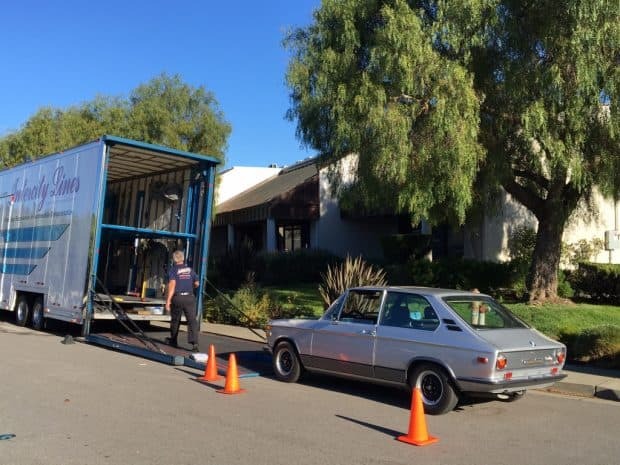 The seller of the 1972 BMW 2000tii Touring sold via Bring a Trailer Auctions last week (link) just reached out to us with this note detailing his auction experience, as well as the transaction. “When we decided to sell our 2000tii Touring Alpina, Bring a Trailer was the obvious choice as the most appropriate marketplace for this special car. I am far from a vintage BMW expert and as expected there were many very knowledgeable commenters that weighed in during the course of the auction, investigating the exact build date and original colors, pointing out nuanced original details, and providing a number of other forensic observations about the car. After a spirited bidding war on Tuesday afternoon, the buyer and I were in touch shortly after to exchange info and complete the transaction. On Thursday morning, the wire transfer was received and an Intercity Lines truck showed up to collect the car. The Touring will be headed back to the East Coast where it had lived for the first 40 years. Congratulations fiminod and thank you Bring a Trailer!